Reupholstery - When is it worth reupholstering? 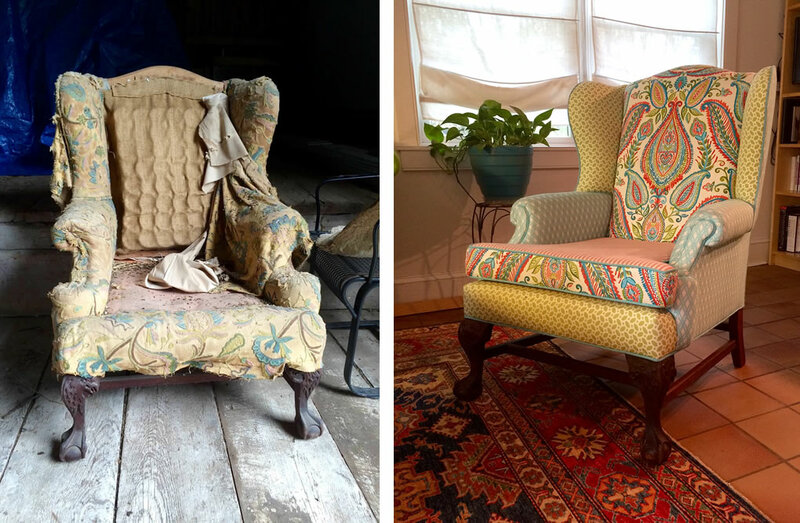 A good reupholsterer can give furniture a fresh look, take out dated details, and give an heirloom piece new life – updating the fabric, renewing fillings, replacing cushions, and restoring structural elements when needed. These processes make the cost of reupholstering close to the price of new furniture. Here’s when it’s worthwhile. Your furniture has a history that can't be bought: the first piece of furniture you bought in your marriage or a wing chair that belonged to your grandfather. If a piece has sentimental value, it's worth recovering. When it has a good frame. If your furniture has a sturdy hardwood frame and quality construction, it's worth reupholstering. Expensive antiques may be reupholstered dozens of times. But if it was inexpensive when first purchased, it may not be worth recovering. When it can be updated to your taste. Good upholsterers can update a piece of furniture. They can create a longer skirt, remove tufting or channeling or plump and soften a piece that is too hard-edged — all according to your taste. When it will cost less than purchasing a new piece of furniture. Reupholstery isn't an inexpensive process — but it may be less costly than buying new furniture. When you are concerned about the environment. Reupholstry is a way to rescue an outdated or well-used piece of quality furniture that would otherwise be discarded. The Calico furniture doctor is in! Contact us via email with questions by clicking the link below, or check our locations page for a store near you.